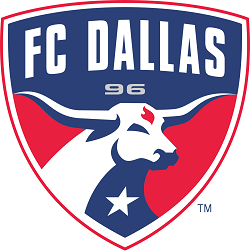 FC Dallas is one of soon to be three Major League Soccer (MLS) teams based in the state of Texas. Since joining the league in 1995, the club has managed to get two U.S. Open Cup wins, a single Western Conference title and have finished runner-up in the MLS Cup. While the team hasn’t had the best of performances in these last two years, it has done pretty well for itself in the years since it was first formed, often making the playoffs. If you’ve come he re to learn whether FC Dallas is a team worth betting on, below we have a look at the latest odds, standing and fixtures for the team. However, that said, the team has won two US Open Cup titles, with the most recent being in 2016, meaning that they aren’t starved for silver. They also topped the Western Conference in both 2014 and 2015. Unfortunately, they were not able to turn this success into league victories. Sportsbooks also don’t think the team’s recent good form is enough to predict a win in the near future. Overall, most sportsbooks are betting against an FC Dallas MLS Cup win in the near future. This means that overall odds are pretty good. Some key singular games most bettors may also want to have a look at include the Texas derby (against Houston Dynamo) and any matchup against Chicago Fire or Colorado Rapids F.C. Ultimately, you never know when it is going to be a good match day. So, its best just to get those bets in.